The completion of the CORTEX One building at Forest Park and Boyle in 2006 marked the first tangible step in the creation of a large and bustling life sciences and technology district. That first major building was followed a few years later by a new headquarters for Solae just one block south. 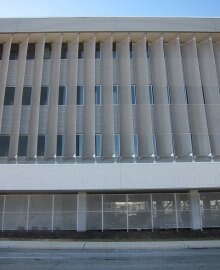 Upon completion, CORTEX One and its builder Clayco received many awards for great modern design and construction. The Solae building has received similar kudos. But like many homes in the St. Louis area where brick front facades give way to vinyl siding everywhere else, not every side or aspect of these two new buildings are worthy of praise. Where both the CORTEX and Solae buildings fail is the degree to which they interact with the streets upon which they front. 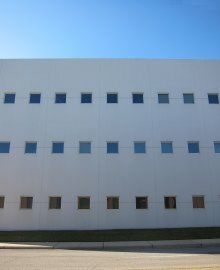 While the north and south sides of the CORTEX building are highly interesting, the sides of the building offer nothing but featureless white concrete with small square windows. The east side of the Solae building is not much better with its screened ground floor parking and a kind of looming presence over the sidewalk. Together, the east sides of the two buildings seem to have a silencing effect on the Boyle streetscape. So it is promising that recently, after hinting for years with plans and visions, CORTEX released details for what is coming next as the district enters Phase II of construction. Included in the plan for the next two years the renovation of the Crescent, Southwestern Bell, and Brauer buildings, a new BJC office building, and many streetscape improvements for Duncan, Boyle, and Clayton avenues. Future project phases promise the construction or renovation of even more building and the addition of a new MetroLink station at Boyle. The renovation of old buildings will help provide visual interest and comfort to the area. Streetscape improvements, MetroLink, and a wealth of jobs will help bring activity to the streets. Together they will hopefully provide vibrancy and sense of place to what is an otherwise dull “neighborhood”. Would be nice if you could actually use the “front entrance” of the Cortex building on Forest Park Ave. In fact, the door is just for show. Obviously they don’t really care about interaction with the street.